If you want a pair of headphones that you can actually use in the studio, forget Beats and go with the Sony MDR-7506. If you don't want to spend too much money on a pair of 'buds you're going to beat up at the gym, but still want a quality pair of headphones check out the Jaybird Tarah's. If you want something like the BeatsX for a not-BeatsX price, then go with the OnePlus Bullets Wireless. Just skip the urBeats completely and pick these up instead. Trust us. For an inexpensive pair of headphones that gets almost everything right, these should be on your shortlist. Like it or not, there’s no getting away from Beats products during the holiday season. Even with flash sales and “buy one get one half off” deals, you’re going to feel your wallet getting a little lighter with every product you buy. It’s no secret that Beats products are expensive, which is why we thought we’d make this list to let you know that there are some great alternatives that won’t break your budget. In fact, you can get better sound than Beats for under $100. 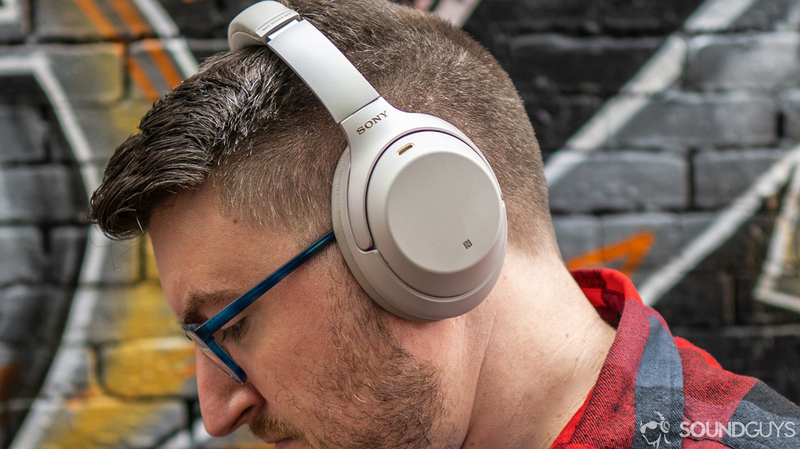 We’ll kick this party off with an oldie but a goodie: the Sony MDR-7506 headphones. Although the Beats Studio3 have the name “studio” in their name, you won’t find any audio engineers wearing them. The Sony MDR-7506, however, is an industry standard. One of the main reasons people enjoy Beats headphones is the over-emphasized bass. While that’s fine for some people, that’s not ideal when you’re actually working with audio whether that means producing or mixing. You don’t want a pair of headphones that are going to color your music in any way, and this is where the MDR-7506 headphones shine. They give equal power to all aspects of the frequency range and have a sound that people have relied on for decades. While they’re definitely not as bass-heavy as a pair of Beats headphones, they’re still enjoyable to listen to. Plus, they fold at the hinges for easy storage so you can easily stuff them in a bag when you’re not using them. These are closed-back over-ear headphones so isolation is pretty good compared to the Solo3 wireless which are on-ear headphones. One thing worth noting is that these do come with a rather long, coiled audio cable which is practical if you’re at your desk or in the studio, but not so much if you’re going to be using them for commuting. That said, I’ve seen people using them for just that so it isn’t impossible. You just have to be great with your cable management skills. Jaybird products are probably the biggest competitor to the Powerbeats3 sports headphones by Beats, which is why they make a great pickup if you don’t want to spend too much. For less than $100, the Jaybird Tarah earbuds offer an IPX7 waterproof build that even the Powerbeats3 don’t have. They also come with a few different sized ear tips for a better bit while exercising. But the main reason you might want to pick these up is because of the Jaybird MySound app. While the app isn’t perfect, it does have a built-in EQ so that you can tune the headphones to sound however you want. Of course, it’s limited by the physical hardware of the headphones, but it works surprisingly well and you if you do like the emphasized bass of Beats you can achieve something similar here just by messing around in the app. One aspect of these headphones that might be cause for concern is battery life. Where the Powerbeats3 offer around 12 hours of constant playback these have half that, clocking in at six hours. But if you’re only going to be using these at the gym, it isn’t that big of a deal since I doubt most people are going to be spending more than six hours in the gym (and our Twitter poll confirms it). The Tarah’s also have a quick-charging feature if you forget to charge them, so a few minutes plugged in will give you enough juice for a decent workout. If you don’t think you’re going to be headed to the gym anytime soon and just want a pair of wireless ‘buds for your everyday life, the OnePlus Bullets wireless have been making a lot of noise (pun intended). There’s no point in denying it, these are a BeatsX doppelganger. We even said so in the review, but in this case that isn’t a bad thing. They borrow some of the key design elements of the BeatsX like a flexible neckband and the magnetic earbud housings but add some other useful features like Google support. Battery life will last you around eight hours of constant playback and they come with quick charging as well, so you can get around five hours of juice in just ten minutes on the charger. On the downside, microphone quality here isn’t great so if you take a lot of calls that’s something to keep in mind, but when you consider these are just about half the price of the BeatsX that might be a fair trade to make. This one is a no-brainer. It’s not a secret that the entry level urBeats are, for lack of a better phrase, complete garbage. If you’re going to get a pair of earbuds with a 3.5mm connector, just get the 1More Triple-Drivers as they sound way better and come with better fit tip options as well which is important for getting a good seal. As you may have guessed by the name, these actually have three different drivers inside each earbud, each dedicated to a specific frequency range. This helps with overall clarity in the sound as there’s little overlap, something that the urBeats can’t do. Plus, the build quality on these is way better than the urBeats. Instead of cheap plastic that’s prone to breakage, the Triple-Drivers have a fabric cable for durability and tough metal earbuds. The nozzles are also angled inwards to help shoot down directly into your ears. It’s true that these cost more than the urBeats, but they’re still less than $100. You get way more than what the $40 price difference may suggest. The Solo line of headphones are the classic on-ears from Beats, and the newest model, the Beats Solo3 Wireless, aren’t cheap. But you don’t need to spend $300 on a pair. Instead just get the Anker Soundcore Vortex headphones that only cost about $60. You could get six of these for the price of one pair of Solo3 Wireless, and you wouldn’t be missing out on much. Sure, the Solo3 has a better battery life at around 30 hours in our testing, but the Soundcore Vortex is no slouch either, clocking in at between 22-24 hours of constant playback in our full review. The plush padding also allows for greater comfort than the tough padding on the Solo3 Wireless, and you won’t be missing out on portability features either as both headphones have hinges for folding down to a smaller size. Neither of these headphones excels in sound isolation so you don’t need to worry about that, and while the Soundcore Vortex is lacking the Beats signature “b” logo on the side, they’re definitely a way better value. This entire article might seem like we’re berating the Beats brand, but that isn’t the case. Beats products have their place in the world and I usually recommend a product or two depending on the use case and who is asking. They also have a really interesting backstory that’s worth checking out if you want to know how they came to be. While it’s true that we’re not entirely sure what’s going on with the brand now, there’s no doubt that the company is going to sell tons of headphones. Especially since Apple, its parent company, removed the headphone jack. What’s up with the Beats frequency response? One of the things you’ll hear people talk about all the time when it comes to audio is frequency response. This is especially true with Beats products as they have a characteristically unique frequency response. 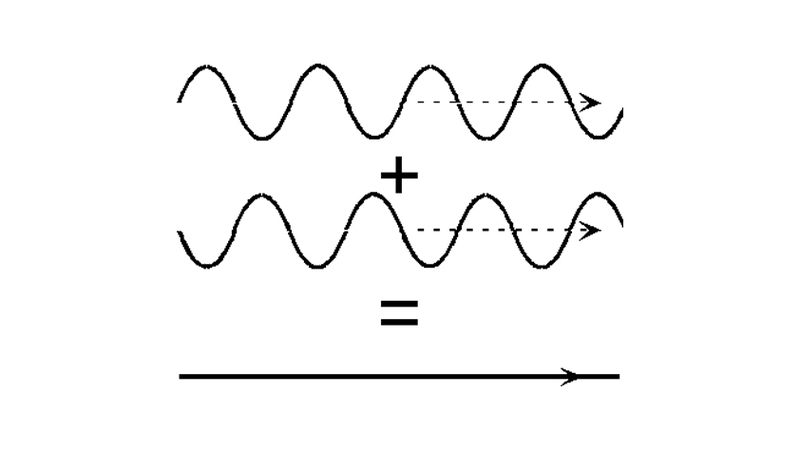 But what is frequency response and why is it so important? We’re only going to scratch the surface here, but if you want to dig in deeper you can read this full explainer piece by one of our resident geniuses Rob Triggs. If you look in the specs of a pair of headphones you’ll probably see something that looks like this: Frequency Response 20Hz – 20,000Hz. Coincidentally, that’s also the range of human hearing. Basically, the frequency response of any audio product refers to the ability of the components of those headphones to receive an input signal and output that same exact signal. But if you’ve ever played a game of telephone as a kid, you know that a message can get confused and garbled by the time it reaches the end of the line. The same is true of audio. Depending on the components of the headphones, that initial signal can change slightly by the time it reaches the drivers and your ears. Furthermore, human hearing is wildly different from person to person. So even if you made the perfect pair of headphones that could reproduce a signal perfectly, it will still sound different to some people. Wireless audio has come a long way, but it still has some issues. This leads manufacturers to do tons of research so that their products sound good to most people. This includes tweaking certain components, and thus the frequency response, to what they hope people will like. In the case of Beats headphones, this was done by really emphasizing lower notes. So the sound of a bass kick coming through their product will be more powerful than the sound of a cymbal. It isn’t better or worse, just different. It’s what they think most people will like, and whether it’s because of marketing or because of the exaggerated low end, the company clearly on to something considering how many they’ve sold. Still, most audio circles frown upon that characteristic sound, which is why this list exists. All but two products in the Beats line-up is wireless, which means that you should know a thing or two about Bluetooth before you invest your money. We have a whole series breaking down every aspect of Bluetooth, but here we’re going to focus on something called a codec. A Bluetooth codec can be thought of as a common language between two devices. If two products speaker the same language (or have the same codec), they can transfer more data between the two. This is important because there are a number of different codecs that all work slightly differently. Luckily, all products speak the same basic codec called SBC, so you’ll never be stuck not being able to connect. This is important with Beats products because the only codec Beats headphones and speakers are compatible with is AAC. Now AAC isn’t the best codec available, but it isn’t the worst. The problem with it is that it works best when you use an iOS device as your source device. If you’re using something else like an Android phone there’s some data gets lost. The wireless products on this list (save for the Jaybird earbuds) are all aptX compatible so you won’t have that issue. Unfortunately, it brings rise to another problem that’s the reverse of the first. Apple devices don’t have any special codecs besides AAC. So if you’re using an iOS device you’ll be connecting via the standard codec of SBC. When it comes to headphones, isolation is arguably the most important factor you should consider. It’s the enemy of good sound, which is why active noise cancelling headphones have risen in popularity over the years. If you’re commuting or going on a plane, there’s always a lot of outside noise around you. And if your headphones don’t block those noises, or in the case of ANC headphones actively work to negate them, it could make for a crappy listening experience. Human hearing is great, but it isn’t perfect. And one area of life where this is apparent is when we’re trying to listen to our favorite tunes. For evolutionary reasons, when two sounds of similar frequencies occur simultaneously your brain ignores whichever one is of lower volume. This is called auditory masking, and the ability to focus on what’s louder and most important helped our ancestors survive in the wild. Unfortunately, we don’t live in the wild anymore and our brain prefers to focus on the sounds of a passing bus instead of the delicate bassline of your favorite tune. Isolation can fix this by not allowing those outside noises to even reach your ears in the first place. For headphones, closed-back over-ears do this best which is another reason why the Solo3 headphones as on-ears, have such a strong low end. It’s to help you hear the bass when it otherwise might be lost due to auditory masking. In-ears are a little trickier because they physically can’t form a seal around your ears because, by definition, they go in your ears. In those cases, it’s good to look into a solid pair of memory foam ear tips to complement your favorite pair of ‘buds as they do a great job of isolating outside noise. Plus, it’s a great way to ignore the holiday music that’s surely going to be berating you for the next few months. As a team, the Sound Guys crew has years of testing experience behind them. Not to mention that we’re all nerds and care deeply about anything audio. Lily spent much of her time before joining Sound Guys in and out of radio stations, Adam has listened to hundreds of audio products in the four years he’s been here, and Chris spent years testing products for the likes of USA Today and Reviewed.com, so yeah, we’re pretty confident in what we say here. If you want some fun reading also make sure to check out our ethics policy so you can be as confident in our picks as we are.